During our vacation out West last summer, my aunt and uncle hosted us for a couple of days in their beautiful Colorado home. I wanted to thank them with a handmade gift. I decided on a table runner because it would be quick but also useful. I wanted to try a technique made popular by Nicole of Modern Handcraft. 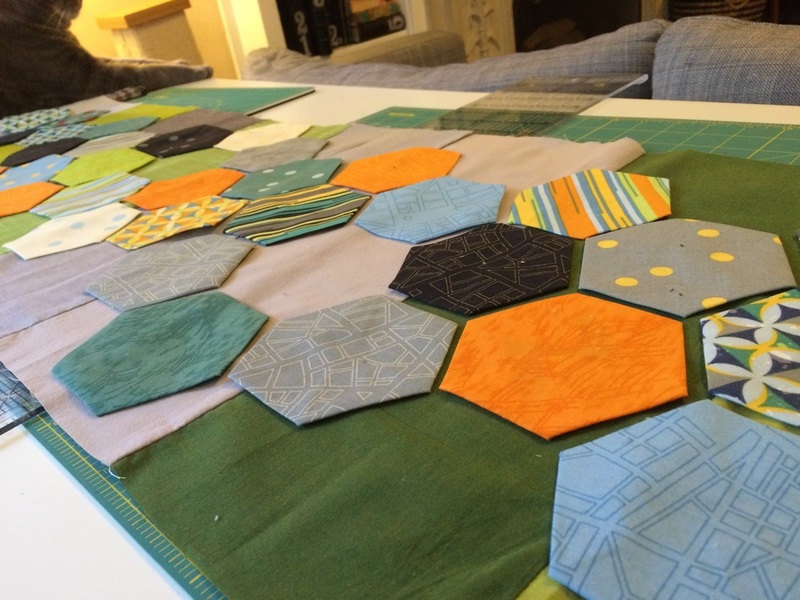 Instead of sewing the hexies to each other, you tack them down with fabric-friendly glue, then sew lines through all the points, on the diagonal. It's a kind of cheater's applique that ends up looking amazing in its own right. 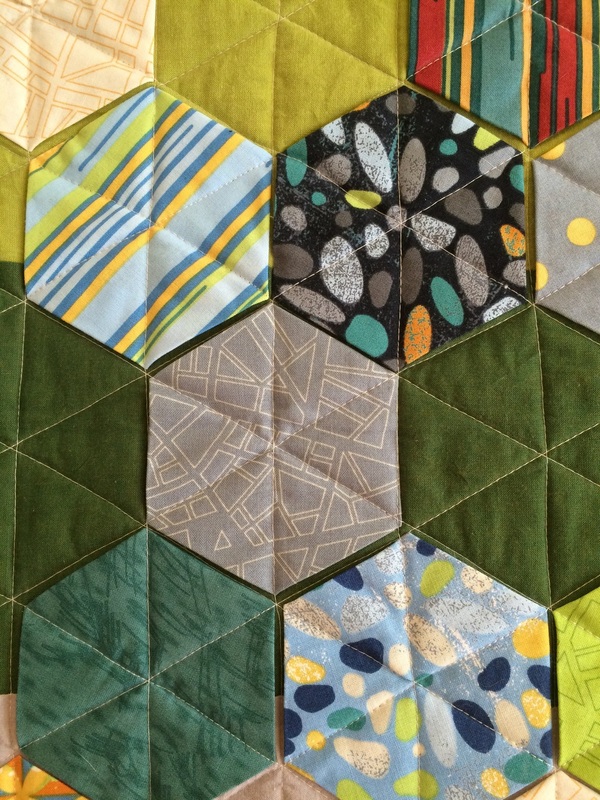 I made the hexies from a charm pack of a fabric line called Barcelona, so they all played together perfectly. Then I pieced the background with strips from my stash. My aunt and uncle were very appreciative of their gift, and I will always be grateful to them for showing us their corner of the gorgeous state of Colorado.